Custom made ring box and tray that groom had made not just for their wedding but to use forever. This was the grooms tooth fairy pillow. He was surprised and touched to see it being used. The grooms father brought this beautiful stand from Italy to hold the couple’s rings. From the earliest times, the circle has been a symbol of completeness. An unbroken and never-ending circle represents a commitment of love that is forever. As often as either of you look at your rings, may you be reminded of your commitment of love being made today. For thousands of years, lovers have exchanged rings as a token of their vows. The promises which you have spoken today are forever in your minds and hearts, but words are fleeting and so those who marry wear rings as visible, tangible symbols of their love and commitment. These rings announce to the world that you have entwined together to become one and that it is inconceivable that you should ever part. The wedding ring is a symbol of eternity. It is an outward sign of an inward and spiritual bond which unites two hearts in endless love. And now as a token of your love and desire to be forever united in heart and soul, we will now exchange rings. The ring is the symbol of the commitment which binds these two together. There are two rings because there are two people, each to make a contribution to the life of the other, and to their new life together. 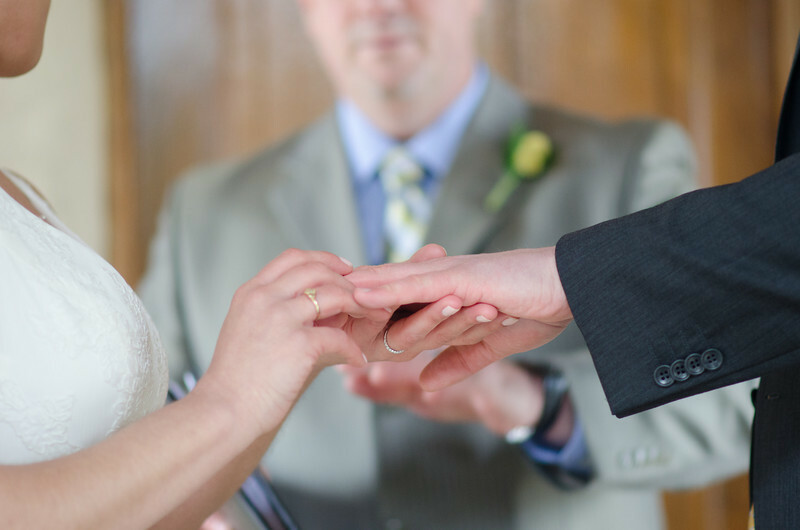 May the wearing of your wedding ring be a constant sign of your re-dedication and re-commitment to this marriage, and make a continuous acknowledgement of your marital commitment and public profession of your marriage and what it continues to mean to you. 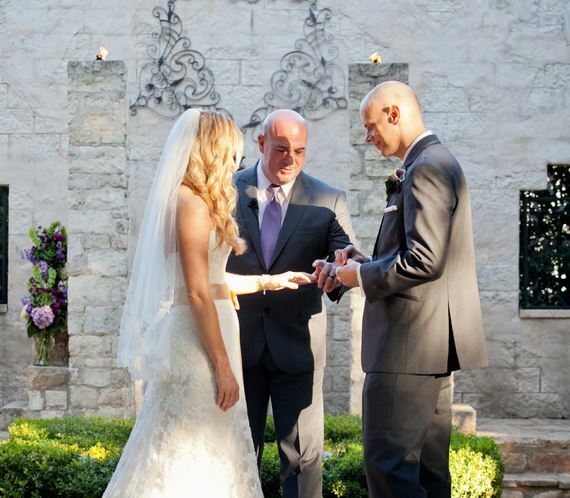 May these rings being exchanged be a sign of the love and fidelity of the one who gives it. Just like your relationship, these rings tell a story. The stones were formed long ago deep within the earth. Eventually, a series of events caused them to rise to the surface, where someone dug them up. Metal was then liquefied in a furnace at a thousand degrees — molded, cooled, and painstakingly polished. Something beautiful was made from raw elements. Love is like that. It comes from humble beginnings, and through a combination of serendipity and effort, imperfect beings shape it into something extraordinary. It’s the process of making something beautiful where there was once nothing at all. As you look at these rings over the years, remember that. You’ve created something invaluable, and just as you will protect these rings, you will protect the commitments you’ve made to one other today. You’ve both chosen to wear rings as a reminder of these promises. People often say wedding bands are a perfect circle, with no beginning and no end. But these rings did have a beginning. The stones were formed a long time ago deep with the earth. Eventually, a series of events caused them to rise to the surface, where someone dug them up. Metal was then liquefied in a furnace at a thousand degrees — molded, cooled, and painstakingly polished. Something beautiful was made from raw elements. These are rings of precious metal, they have value and great worth. Today, they are pristine and shining. With wearing they will become weathered and worn and yet their value and worth will deepen. The rings are complete and whole, they are endless circles; without identifiable beginning and without ending. May your love for each other bear each of these characteristics in the years to come, even as you present these symbols each to the other. PINKY PROMISE – Now if you will interlock your pinky fingers, it’s time for one of the original forms of remembering a promise that cannot be broken. Repeat after me together: I Pinky Promise to be your best friend and to always and forever be yours. I give you this ring as a symbol of my love and faithfulness to you. With love and affection, wear it and think of me. I give you this ring as a symbol of our vows, and with all that I am, and all that I have, I honor you. With this ring, I thee wed. I give you this ring as a token of my love, as a sign that I have chosen you above all others. With this ring, I thee wed.
With this ring, I give to you my promise that from this day forward you will not walk alone. May my heart be your shelter And my arms be your home. May God bless you always. May we walk together through all things. I feel honored to call you my (wife/husband). This ring has no beginning and no ending, which symbolizes that the love between us will never cease. I place it on your finger as a visible sign of the vows which have made us husband and wife. This ring I give to you as a token of my love and devotion to you. I pledge to you all that I am and all that I will ever be as your (wife/husband). With this ring, I join my life to yours. As this ring encircles your finger, from this day forward, so will my love forever encircle you. Wear this ring as a symbol of my love. I give you this ring as a symbol of my love and faithfulness. 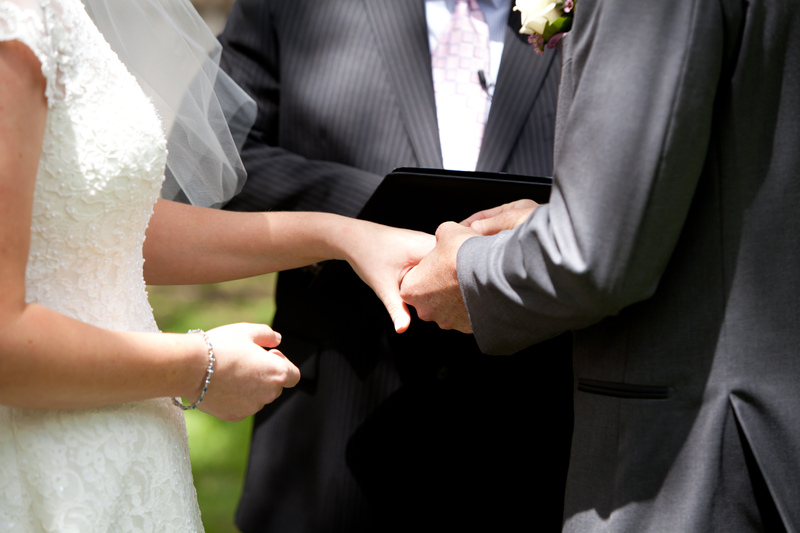 As I place it on your finger, I ask you to wear this ring as a reminder of the vows we have spoken today. I give you this ring to wear with love and joy. As a ring has no end, neither shall my love for you. Groom stopped to have dinner with friends at a restaurant and Bride just happened to be Groom’s waitress. 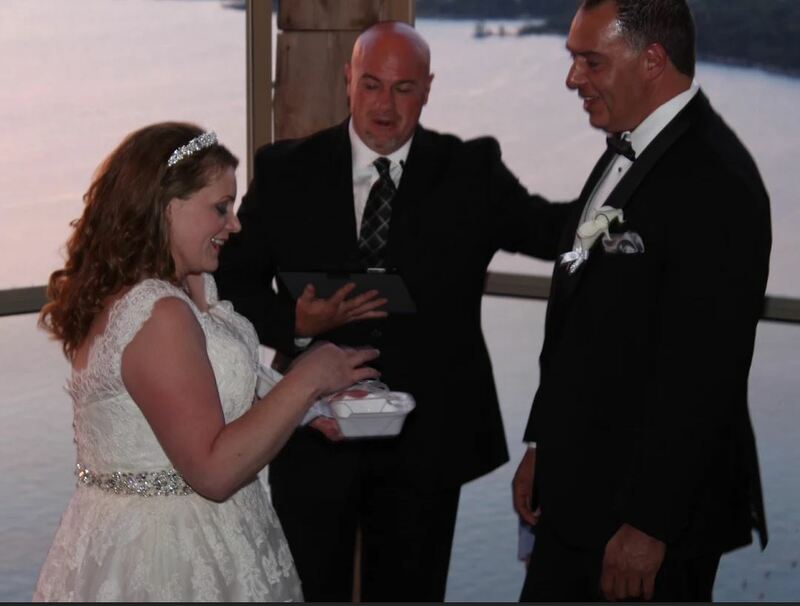 At the end of dinner, Bride asked if anyone needed anything else and Groom replied, “Yes, a to-go box and your phone number.” And this is how it all began. (Name), I give you this ring as a symbol of my love. As it encircles your finger, may it remind you always that you are surrounded by my love.